C.14787 - Luxury living with the convenience and comfort of maintenance-free residence. 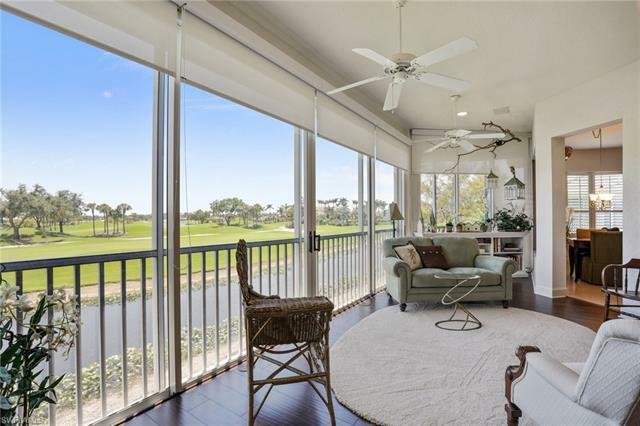 This coach home with fabulous lake to golf course views over the 10th fairway and 11th fairway and green with desirable southern exposure has been completely and tastefully renovated. Flexible living and entertaining space and plenty of privacy for visiting guests and owners. Soaring ceilings, gourmet kitchen with custom cabinetry, a "must see" master bath, private entry all makes you feel as if you are in a single family home. Large great room and formal dining area. A comfortable family room is adjacent to the kitchen. All this, as well as a large family room/sunroom with sliding glass doors that open to the fresh air. Each guest bedroom has a full bath. A private elevator will take you right from the garage to the second floor living area. The buildings are newly painted and have new roofs. This property cannot be duplicated for the asking price! Located in Kensington Golf and Country Club where memberships are optional, however it offers some of the best golf, tennis, fitness and social Country Club lifestyle in the area.